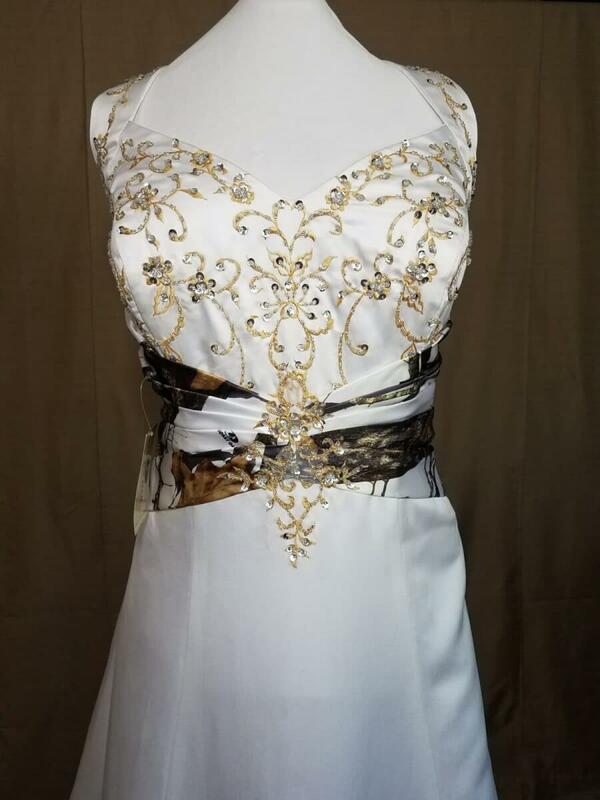 “Sz 20 IN STOCK – ON SALE!! “SIZE 20 IN STOCK and ON SALE!! Our Melanie dress is one of our most popular styles. 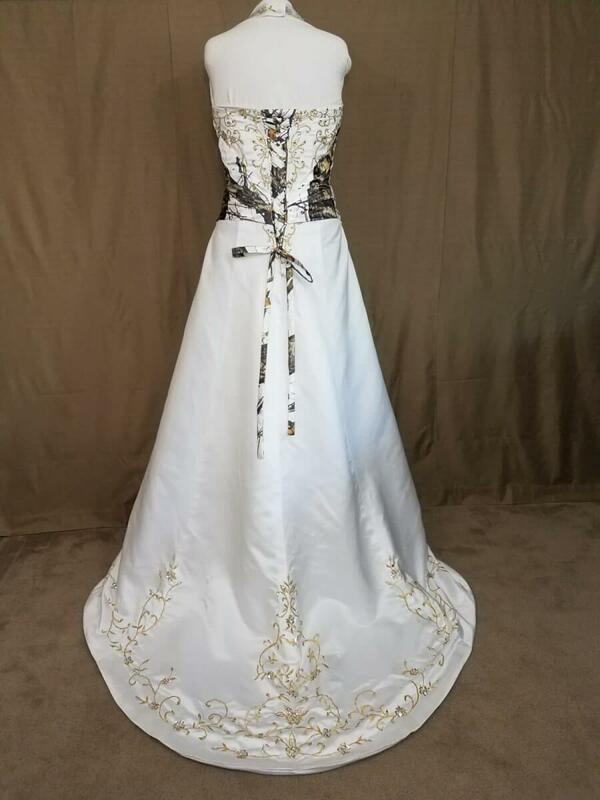 This IN STOCK dress is on sale because it was worn for 1 hour in a fashion show, but is still in perfect condition. There is no damage to the outside of the dress but it may have some minor dirt on the train from the runway show. 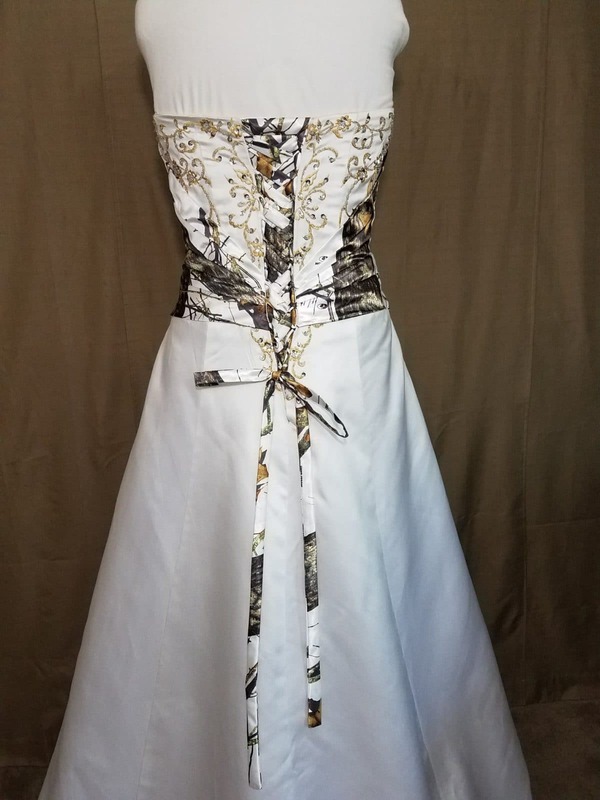 This SIZE 20 dress is made in white satin with with Mossy Oak Winter camo at the waist inset. 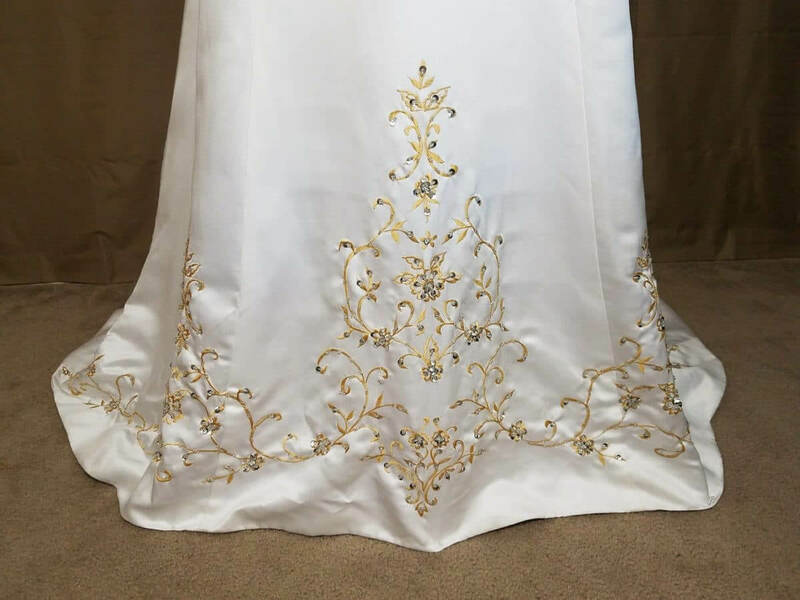 There is gold satin embroidery on the front and back of the bodice, and also around the bottom front of the dress and along the train. 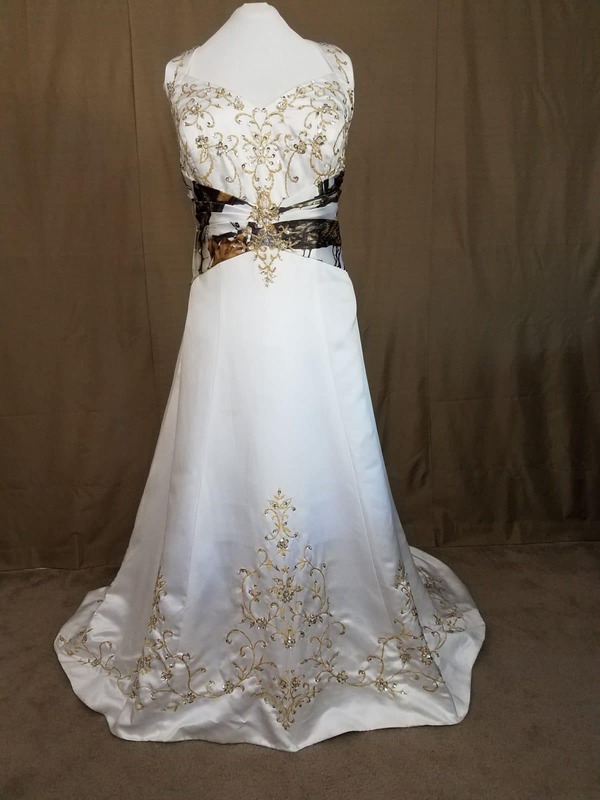 Sparkling beads have been hand-sewn on top of the embroidery to add a bit of glitz to this beautiful dress. This dress has a corset back, and the lace-ups are in the Mossy Oak Winter camo pattern. The halter top has 3 adjustments, and the designer bodice comes with triple layered fabric, and padded, installed bra cups. The bodice top has 10 bones inserted around it for smooth, secure fit.